One of the cosmopolitan cities in Bali. What to do there? Kuta is located in the south of Bali. If you surf or are interested to learn surfing, Kuta has the perfect place for you to catch the waves. Rent the surfboard at low prices or just chill under the umbrellas by the local stalls along Kuta Beach. However, it can get too crowded during peak season which makes beginners have a hard time learning here in Kuta. Uluwatu is also a great place nearby Kuta where surfers can experience bigger waves and it’s a famous spot for sunset surf. Alternatively, other towns like Canggu also offers a good surfing experiences. From Kuta, it takes about 40 minutes to reach Canggu. Travelling to Kuta with your family or friends wouldn’t be a problem as there are exciting water theme parks where you can spend a day filled with fantastic activities. For leisure water activities, visit Waterbom Park Bali. Otherwise, catch a thrill with some extreme sports at Bali Adrenalin Park. If you wish to experience wakeboarding, Bali Wake Park nearby Kuta is a great place to start. Also, don’t forget to try the 5GX Bali bungee experience with your friends or partner. It is definitely a thing to try while you’re in Kuta! Since Kuta is the main town where tourists prefer to stay in due to wide options and facilities in the area, there are many tours offering day trips that can be done from Kuta. You can hire a driver to get to other side of Bali island and visit interesting in Ubud, Nusa Dua, Nusa Penida or take a nature trip to Mount Batur in Kintamani for a hike. 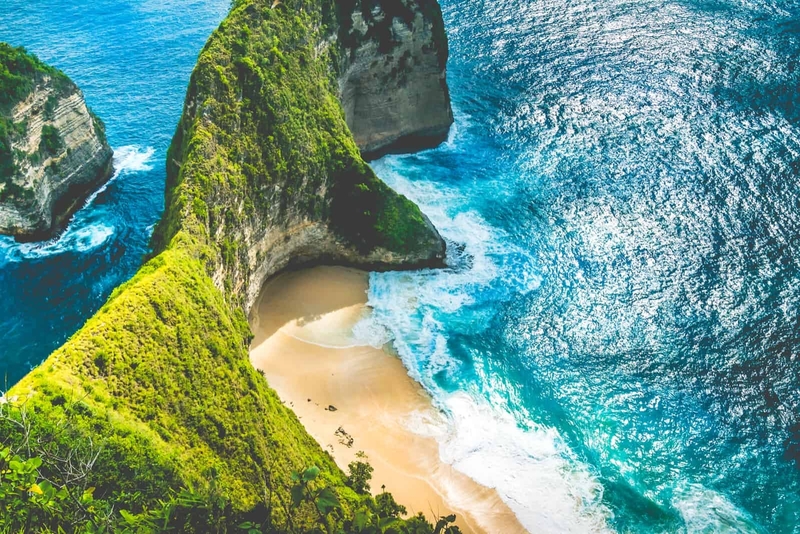 There are plenty of places you can explore from Kuta, just arrange your itinerary by listing the places in Bali that you wish to visit and your driver will advise if it is possible to make your trip to these places. What to see there? Kuta in general is a place that is leading between East and West. Here is where you can enjoy the view of sunset, visit the shopping malls, get dining experiences and spend leisurely time discovering the sights with your loved ones. Jalan Pantai Kuta is located near the beach, and it is home to many street shops where you can do affordable shopping for gifts or find authentic brands on sale. Or, visit Legian Street to get unique Bali souvenirs and clothing for cheap. There are also plenty of bars and restaurants for you to enjoy here. Besides the above listed main attractions that made Kuta famous, the town also has many art, heritage and cultural sights to explore. The Garuda Wisnu Kencana Cultural Park is an interesting place to start your tour in Kuta. Visit the Memorial Wall which is dedicated to the victims of the bombings in 2002. If you are into fashion or textile, Museum Kain is where you’ll find exhibits of indigenous fabrics with wonderful design inspirations. At night, the entire centre of Kuta turns into one big party and not just in the bars and clubs, but also the streets are crowded with party-lovers raising their glasses. To continue your exploration, you can also find plenty of attractions and nightlife spots such as exclusive bars and art galleries filled with interesting pieces made by local artists along the nearby Sunset Road in Seminyak neighbourhood. Cheapest and easiest way to get around town is by renting a motorcycle. Ask your hotel operator if they could arrange the rental for you or just head to Kuta town to find many rental shops for transportation. If you are renting a motorcycle, refill your gas by finding shops at the streets with a ‘Bensin’ or ‘Petrol’ sign. The petrol are sold by the locals since petrol station is quite far from the main area. Join a kickabout team.This kind of football is played in the beach of Kuta and you will have the time of your life playing with the locals. If you have a choice, book a hotel when you arrive in Kuta. The prices will be more affordable and lower for you to book in advance. There are plenty of options available if you walk-in too, however be mindful of the holiday season as there might be limited availabilities. There are a lot of spas in Kuta and the prices are extremely low. After a long day of walking and touring, enjoy an hour of traditional Balinese massage from as low as IDR 70,000 at the spas located around main area. It’s definitely worth it to try. Head to nearby towns like Seminyak or Canggu. Here is where you can find many international standard villas, famous bars and meet many other tourists and surfers. Formerly a fishing village, Kuta has now become world-famous for its sunset views at the beach and variety of affordable options for all travellers.